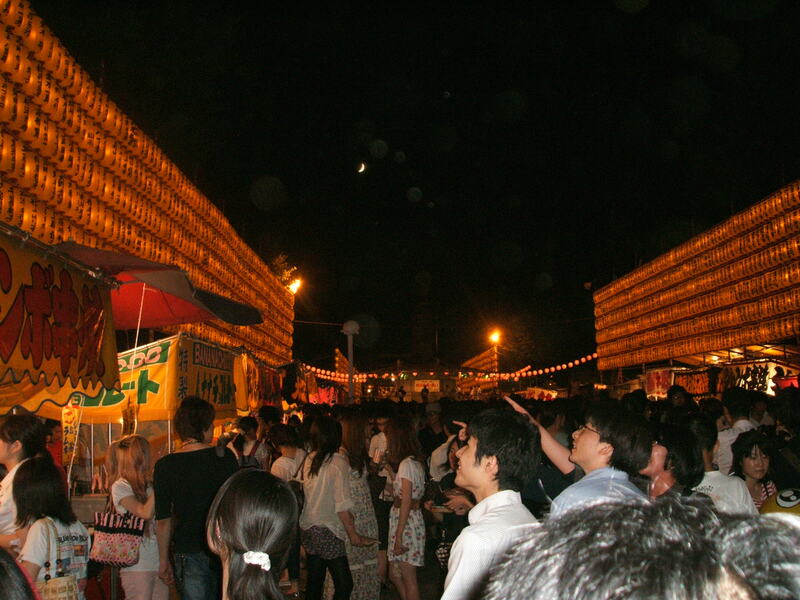 Every year from July 13 – 16 the 靖国神社 (Yasukuni Shrine) has their annual O-bon festival called 「ミタマ祭り」 (“Mitama Festival“). We go to this festival nearly every year. (Click here to see my post about last year’s festival with a number of photos I took. We went to this festival yesterday (Friday, July 16). It was the weekend and the last day of the festival so it was especially crowded. So I wasn’t able to take many nice photos. This festival is in a few weeks, by the way. There was no European imperial power enslaving Thailand was the point I was trying to make. Japan colonized Thailand and all the other countries it invaded; the idea of empire emancipation was only added on after the event by historical revisionists. I agree that history is written by the victors and as such is abused sometimes and I agree that it is right and proper to enshrine and honour your war dead but up to a point. Can you imagine if Germany decided to honour Adolf Hitler, or to counter a charge of unfair comparisons, members of the Waffen SS or concentration camp guards, in its memorial temples and churches? Just because you don’t recognize the war tribunals verdicts doesn’t mean they aren’t correct. Some were brutal and unfair to be true but we are talking the Class A war criminals here, the architects of the Japanese military campaigns that killed and enslaved thousands if not hundreds of thousands. A camp guard that committed brutal acts out of fear for his own life was not a criminal true, the people who beheaded their own soldiers for not following sadistic orders and those that wrote the orders to that effect, are. Now you can argue that this is a western, Christian moral judgement but we’re getting into more obtuse semantics there. Agreed, visitors here should respect the shrine and not comment aggressively and rudely. It makes no difference to the shrine anyway and just reinforces their idea of as as un-cultured barbarians but just accepting the fact that Japanese politics and media can be so myopic on the history of the war and yes it is being taught in schools like that, and do nothing is not moral either. I’m sorry but if this country ever wants to be accepted by the Asian countries it brutalized 60 odd years ago it needs to accept that some of its people made a mistake. There is a huge peace movement here, there are the text books and histories that give a less sympathetic and less nationalistic way for people to understand their own history. That the debate is possible in japan is its big plus. Just try talking about China’s less grandiose history or Tibetan independence in China and see how far you get. I will never defend China on its anger at Japanese history lessons. China and Korea are opportunists anyway, that ignore the profuse apologies Japan has already made and call for more and more reparations and point scoring. Yet Japan should deal with the mistakes of the past in a more transparent fashion and if honour is important, remove it from those that do not deserve it. 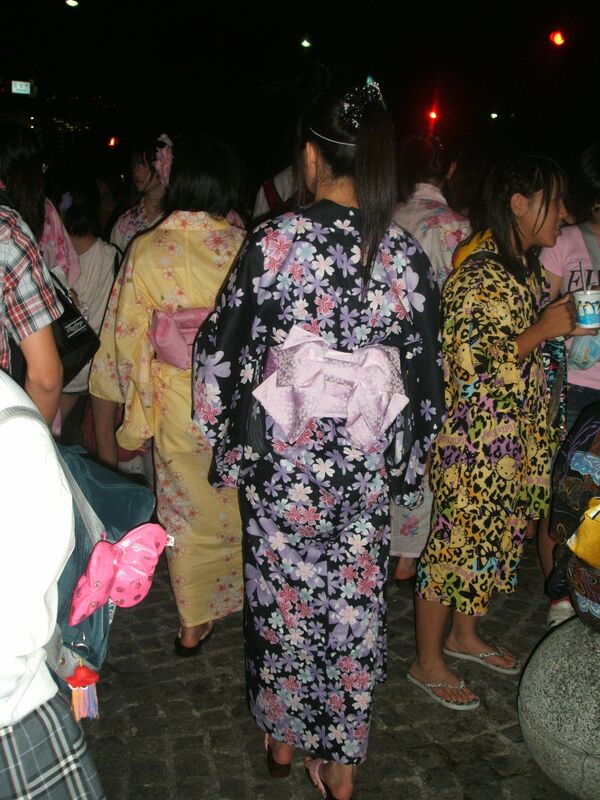 It appears by dint of being japanese you are therefore right. I would argue also against the idea that history is treated equally blinkered in the other countries. I have seen that in the States this used to be the case and am not naive enough to believe in Europe that it was too different. But I would say European history has always necessitated a slightly greater understanding of other people’s points of view. Whether this was in dealing with a neighbouring country or the loss of our respective empires over the latter half of the 20th Century. Believe me 100 years ago we were all seriously self-centered and arrogant but nothing creates a re-evaluation like a loss. Vietnam had the same effect on the US perhaps. European power has been in decline too long for us to avoid looking at our mistakes and foibles negatively. Indeed I would say we have been on this rather un-productive, beat-ourselves-up trajectory for too long. Probably the cause of the anti-Americanism, green eyed monster and all that. We need to start seeing the good but keeping in mind the wrongs of the past and accepting them as part of the process and apologising for them if needed. I think there should be a point when it stops too, the Scots still hate the English for things we did 500 years ago. In my mind, get over it the English people of then are not the English of now. Does the US hate England for the colonies? More importantly do we hate the Americans for kicking us out in 1776? NO! Shinzo Abe wanted to teach patriotism in school! WTF!!! Patriotism is a feeling, a love of your country and a wish to better it. If you can create a feeling via education it is brain washing pure and simple and if kids leave school believing everything with their country is alright how will they deal with the bad things they see, the the bad reaction of others? How will they know what they can do to make their country better and greater? The way i see it some in Japan switched straight to that mode of thinking in 1945 and it is reflected in everything. Japan just cannot lose or be not so good at anything which is natural as you cannot be good at everything, it has to be some trick or unfair advantage of the other countries’ people. You can see this in Sumo, or all sports, you can see this in business, you can see this language teaching. You can see it in History. I love this place, it is endlessly fascinating and has so many good things, but there are the bad too and whilst I know some Gaijin are overly negative, people like you and I who have been here a long time can see that. But I don’t see good in Yasukuni the way you do I’m afraid, i think you have the japanese ability (which i understand but don’t want to acquire) of seeing the cherry blossom in the middle of the mess. I see the mess, true my vision is a less pleasurable one but by seeing the mess I can attempt to clean it up making the cherry blossom experience a better on. Anyway, am loving this debate, as a social geographer and journalist it is good to thrash out ideas and understandings with another intelligent human being. Having to teach English to make ends meet can fool you into thinking you’re the wisest man in the world as students never disagree with you, and writing this stuff elsewhere would never get an audience because most people don’t care anymore and care even less that it is in japan. Actually, even before you mentioned it, I was thinking to myself that someone might compare Yasukuni Shrine to Germany enshrining Nazi soldiers. It’s difficult to even imagine such a thing…but what if they did it while somehow remaining totally impartial to the politics of the war? I love Japan but I don’t think I have “rose-tinted glasses on” as you imply. But regarding Yasukuni Shrine, I believe many (non-Japanese) people misunderstand the intentions and purpose of that shrine. 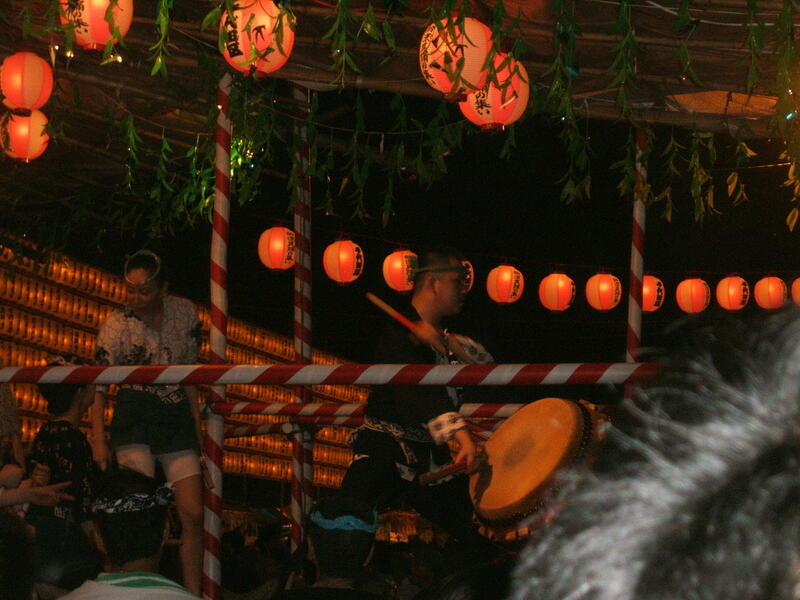 Mitama is one of my favourite matsuri. So beautiful with the lanterns and lights and there is a local, almost rustic feel to it despite its location in one of the largest, richest and most controversial shrines in the mega-metropolis of Tokyo. I agree that is is good to honour the war dead, they are as much victims of the folly of Tojo et all as the Koreans, Chinese and others that suffered under the military expansionism of Imperial Japan. I cannot agree that Yasukuni is neutral however: it is funded by the right wing revisionists, it is not a state run entity and has an unapologetic attitude to the war and internment of war criminals there. True it doesn’t consider them war criminals for all the reasons you listed above (all of which are valid to a greater or lesser degree). Yet I am afraid this is an example of the appropriated victim status that Japan has been able to conveniently attach to itself since losing the war it started. The winners might write the history but history is also approached more critically in the other countries than in Japan and whilst most people here agree that the the empire building Japan undertook in the 30s and 40s was unwarranted and information about its brutal nature is readily available to those that wish to search for it; it is the purpose of organizations like Yasukuni to hide that information or misinform those that are too stupid or too lazy to look it up themselves. Have you ever been to the museum in the shrine? Wow! It is just one massive piece of propaganda on the dichotomous pride in military might and accompanying victimhood of defeat and, most sickeningly, the rewriting of the Imperial adventure as an altruistic exercise in colonial liberation. Nonsense I’m afraid, while Indonesia, Malaysia, Burma, etc welcomed the Japanese defeat of their European colonizers and aided and abetted them in this task, they quickly turned on the new powers occupying their lands when they discovered that Asian fraternity was not the reason they were there. And anyway exactly what European power was enslaving Thailand may I ask? The fact that so many people believe this distortion of history is testament to the power of the very un-neutral effects of Yasukuni. It’s still a great place and a fantastic matsuri, and a needed one but be under no illusion Yasukuni interned the 14 Class A (as in almost certainly pretty bad boys) war criminals, against Emperor Hirohito’s wishes, to force an agenda and a has been stubbornly digging its heals in about moving them ever since thereby polluting its purported duty of honouring Japan’s war dead. Just my 2 yen’s worth. Some nice posts and observations on here, thanks for the comment on my blog, Haven’t stopped by for a while will try to visit more often. Yes, it’s a very nice festival. It is neutral on the subject of war crime trial verdicts. And as with all shrines and temples in Japan, they accept donations from anyone. I don’t think so. Every country, unfortunately, teaches children propaganda. I don’t agree with that either. It’s a shrine not an educational facility. It enshrines those who died in battle for Japan…it doesn’t teach history. It does have a museum that summarizes the history of Japan’s battles in war…according to how Japan teaches it, but Yasukuni Shrine’s purpose isn’t to teach history. Yes, I’ve been to that museum a couple of times. It really shouldn’t be such a shock to you. On my first visit to that museum, I realized that I had been taught world history in American schools according to America’s propaganda…so it makes sense that Japan would teach it with a tilt the other way. Anyways, did you see the last letters to family that Kamikaze pilots wrote that are kept there? Those letters make visitors cry! Click here to read my post with one such letter. And did you see that museum’s guest book? It’s embarrassing that many of the foreigner visitors to this museum leave obnoxious and rude comments in that book. >what European power was enslaving Thailand may I ask? As I said above, they were keeping with policy of enshrining everyone who fought and died for Japan. And they don’t recognize the war tribunals verdicts. >Some nice posts and observations on here…Haven’t stopped by for a while will try to visit more often. Thanks. Please visit and comment often. Isn’t that the shrine where the war criminals are enshrined? It’s the shrine the honors all who died defending Japan, from centuries ago to WW2…including some of whom that have been convicted of war crimes by America after WW2. 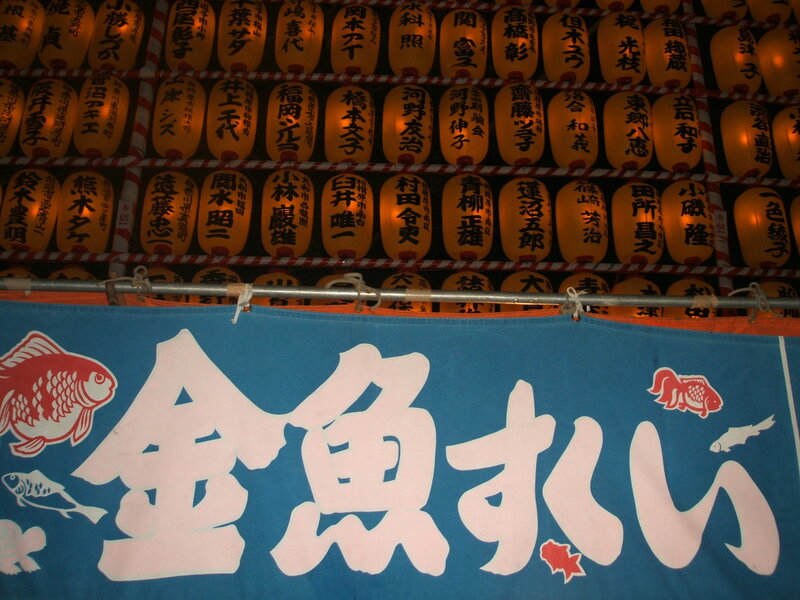 Yasukuni Shrine doesn’t get involved in politics. It simply enshrines all who died for Japan. If Yasukuni Shrine doesn’t get involved with politics, then why did they decide in a meeting with government officials that they would secretly enshrine the war criminals. They hid the truth from the public. I think honoring people who were war criminals is wrong. It dishonors the the other soldiers who died honorably. >If Yasukuni Shrine doesn’t get involved with politics, then why did they decide in a meeting with government officials that they would secretly enshrine the war criminals. They hid the truth from the public. I never heard that the shrine had a secret meeting with politicians. Many politicians visit the shrine to pay respect to the war dead…but they are “unofficial” visits. >I think honoring people who were war criminals is wrong. It dishonors the the other soldiers who died honorably. It is felt by many people that the Allied War Tribunals that found Adm. Tojo and other Japanese soldiers guilty of war crimes was a “kangaroo court” to make an example of the “losers” of the war. Regardless, I look at Yasukuni Shrine the same way many Japanese do…as neutral to any war courts or convictions and simply as the place that honors all in Japan who died in battle for their country. “Kangaroo” court or not, Tojo was no saint. He authorized the murder of over eight million people in China,Korea, the Philippines, Indochina, and other Pacific island nations, as well tens of thousands of Allied POWs. Even though many say it was under orders of the emperor it’s still wrong to do bad things. That would be like thinking the the Nazis who implemented Hitler’s crazy concentration camp idea were blameless because they were following orders. Besides if he wasn’t guilty he wouldn’t have tried to commit suicide before he was arrested. Some say that history was written by the victors. The atrocities of war that the Japanese military are accused of are likely true…but they may (or may not) be exaggerated too. But, that’s why Yasukuni Shrine stays neutral on such subjects (as it should)…so that all who died defending Japan can be honored. >if he wasn’t guilty he wouldn’t have tried to commit suicide before he was arrested. He might have if he was certain he would be falsely convicted. Ah, festival time in Tokyo. There is no better way to beat the heat. 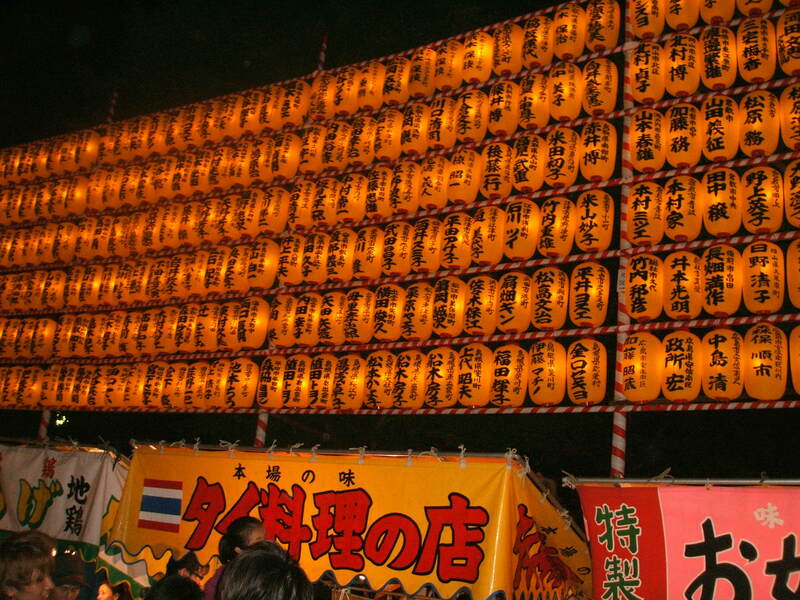 Tokyo (and all of Japan) has festivals all year long, I’m certain you know. But yes, they are especially frequent in summer. And, as you said, a great way to spend the time in the summer heat!